Treverven Touring C. & C. Park är en camping i Saint Buryan, Cornwall, belägen vid havet. Denna camping med sluttande terräng har platser med stängsel, utan skugga och platser med lite skugga. Det finns möjlighet att hyra tält. På campingen finns en ett sportområde. Denna inspektör gör varje år ett besök på Treverven Touring C. & C. Park och inspekterar campingen för ca 200 faciliteter och för andra förekommande punkter. Inspektören är en medarbetare från ACSI och arbetar inte för campingen. This site had everthing we required. Situated in a lovely rural setting, it was well run, with the facilities clean and in good working order. There were no gimmicks, it was just a good site close to the sea, and it ticked all of our boxes. We would go back again. A field with a hut in it was the first impression, the hut being the reception. Toilet/bathrooms clean but very dated. Receptionist very brusque when I declined to stay because of the facilities. The pitch, next to a barn had a nice view but also the smell of slurry and cattle. The site is adjacent to a cattle yard with open pools of slurry/flies. This causes a stink and nuisance in hot weather to users of nearby pitches especially pitch 72. When a request was given to the proprietor to move to an alternative pitch away from the nuisance it was met with the retort that this is what you can expect from a farm site. Vill du boka campingen Treverven Touring C. & C. Park eller få mera information? Det går bra med nedanstående uppgifter eller via campingens webbsida. 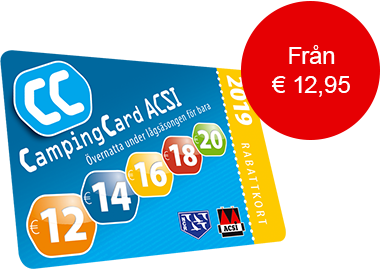 ACSI Eurocampings skickar din informationsförfrågan till "Treverven Touring C. & C. Park".